BAE Systems has announced that the F-35 Joint Program Office has awarded a second major assignment for avionic and component work to the UK’s global repair hub for F-35 Lightning aircraft. It will see the hub, based in North Wales, deliver maintenance, repair, overhaul and upgrade (MRO&U) work on the fleet and builds on an award of work made in 2016. The hub will be operated by Sealand Support Services Limited (SSSL), a joint venture between the Ministry of Defence’s Defence Electronics and Components Agency (DECA), BAE Systems and Northrop Grumman. This new assignment will support hundreds of additional F-35 jobs in the UK – many of them at the MOD’s DECA at MOD Sealand, where the majority of the work will be carried out. It will see crucial maintenance, repair, overhaul and upgrade services for an even wider range of F-35 avionic, electronic and electrical systems for hundreds of F-35 aircraft based globally. Steve Worsnip, Vice President, F-35 Sustainment, US Programmes, BAE Systems – Air, who is also a non-executive director at SSSL, said: “The selection of the UK to undertake this activity is recognition of the advanced military aircraft support skills and capabilities which we have in this country. “Within BAE Systems we have a strong track record of working in partnership to deliver innovative and cost effective support solutions and we look forward to bringing this further in to the F-35 programme through our SSSL joint venture with the UK Government and Northrop Grumman. SSSL Managing Director Rear Admiral Rick Thompson added: “From 2021, there will be hundreds of F-35s flying across the globe and SSSL will be central to sustaining operations in the European Region and around the world, providing essential MRO&U services. 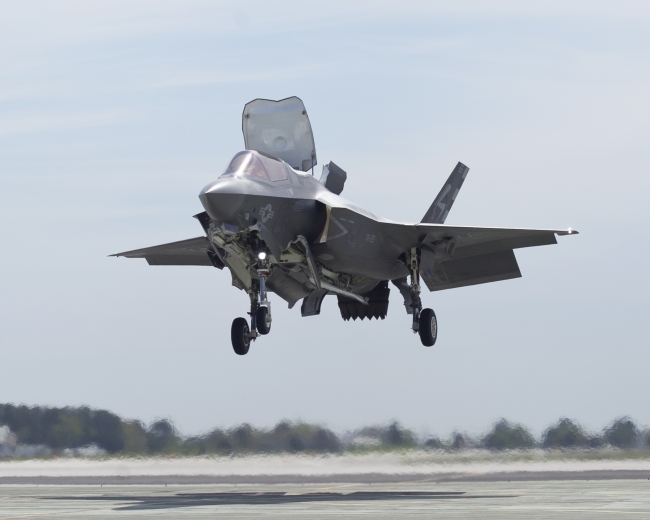 “Together with our partners from DECA, BAE Systems and Northrop Grumman, as Team UK, SSSL will be able to offer the F-35 programme engineering excellence, world-class innovation and agility. “In 2021, we are scheduled to begin delivering services to the UK’s fleet of F-35s and those of its international partners, having been appointed as a European and global support hub in 2016.